Members of the Kiowa County Sheriff's Office and Kiowa County Fire Protection District have been assisting with efforts to control the 400-acre Black Bridge Fire in Bent County since Thursday evening. 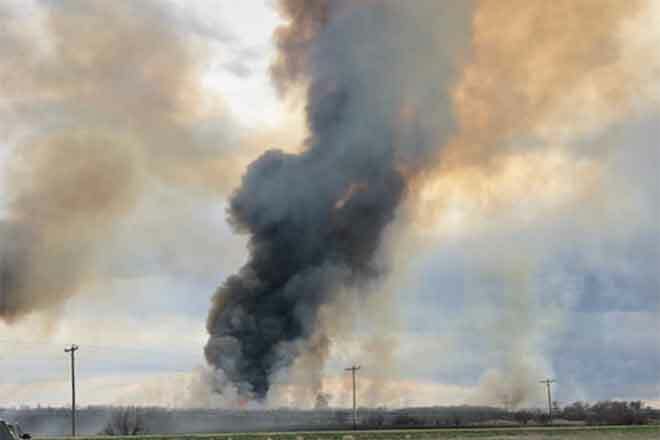 The Black Bridge Fire in Bent County has burned nearly 400 acres as of April 6, 2019. Courtesy Casey Sheridan. 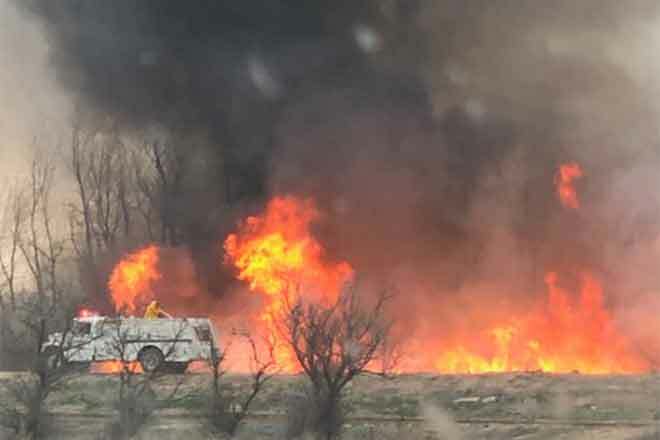 The fire started east of Las Animas, and has received assistance from fire and law enforcement agencies around the region. "Mutual aid" - agencies helping each other during large-scale incidents - is a common practice for rural areas of Colorado. 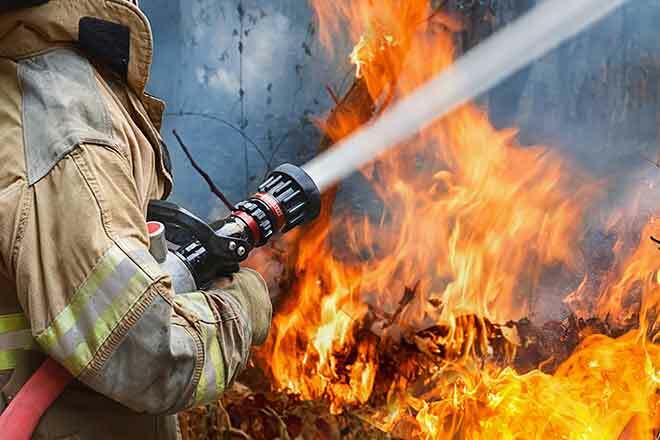 Rural fire departments, in particular, are often staffed with volunteers and, individually, have limited capabilities. 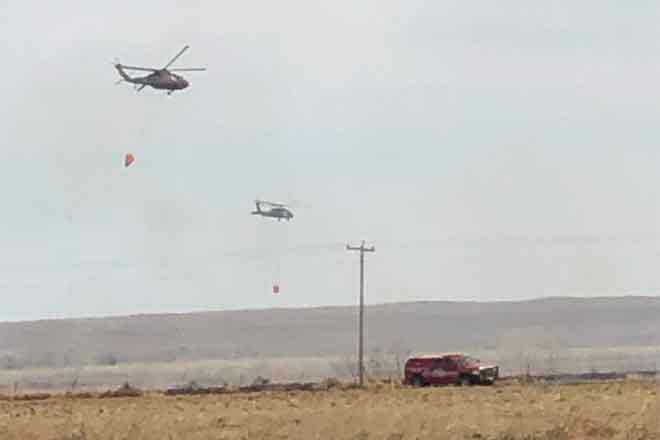 Colorado's Division of Fire Prevention and Control and Division of Homeland Security and Emergency management have been providing technical guidance to the efforts, while the Colorado National Guard supplied two helicopters Friday and Saturday to drop water on critical areas of the burn. DFPC's Multi-mission aircraft also flew over the area to map the fire's perimeter and provide images of the most intense areas to crews on the ground. Seven homes in the area have been evacuated, and the Fort Lyon Homeless shelter has also been threatened. The Colorado Department of Public Health and Environment says that smoke concentrations may be heavy at times, though no significant health impacts are expected. The agency has not issued an advisory for the area. Saturday's weather offers only some help to those battling the blaze. Temperatures will be in the mid-70s, with a slight chance of thunderstorms later in the day. While less than one-tenth inch of rain is expected, amounts could be higher in areas where thunderstorms form.